I recall clearly an evening at a glass of Bordeaux in a company with my old French friend. That was the time when my interest to wine had just started to arise and I was a grateful listener of any wine related topics. Michel told me that the real wine is a product of earth. It is born by terrain and baptized by a good blend of several different varieties. I felt as if an oracle mystery had just been shared with me. Later on the time working with wine, constant desire to learn new and interaction with wine makers helped me to find the answer to the question where the wine is born and what it takes to get a good wine. So was the oracle right? Trying various wines you couldn’t help but notice a very interesting fact – all of them differ from one another, they have different tasting characteristics, personal notes and some of them do have very expressive meaningful taste which stands for their good quality. For a better understanding what makes the wine different we have to think about following: a grape variety, the land it’s born at (terroir), production method and a wine maker conscience. Those factors are like the 4 whales that all good wines stand on. 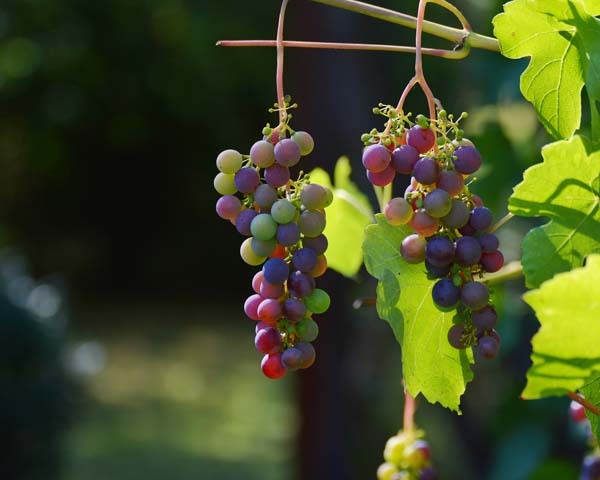 Hundreds of grape varieties can be divided in 2 groups international and local. The former are met all around the world like Chardonnay and Merlot, the latter are normally grown in one particular region like Cataratta in Sicily or Tempranillo in northern Spain. Every variety gives the wine certain aromatic characteristics, tannins, sugar and acidity level. That’s why the ripeness of the grape is highly important. But you’ve known for a fact that Cabernet from Chile is not the same as Cabernet from France. German Riesling is not the same as the one from New Zealand. Sauvignon Blanc from Loire Valley can hardly be confused with any other Sauvignon. And the Pinot Noir and Chardonnay of Burgundy are so unique. So the answer to our question put its roots deeper to the land where the vine is growing. And it’s called terroir. Download our Food and Wine Pairing Guide prepared for you by a professional sommelier. 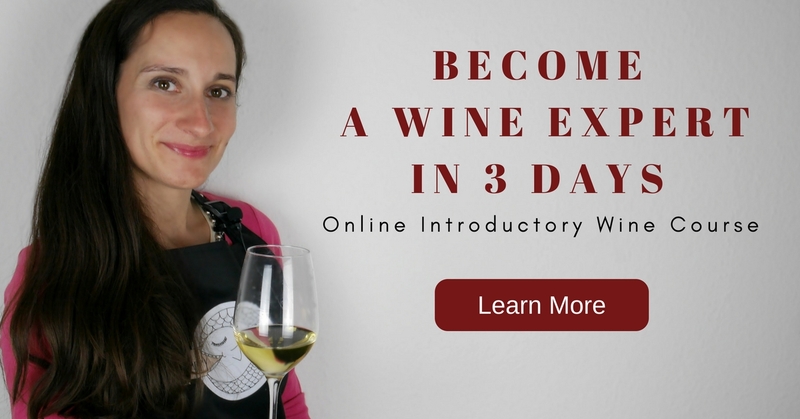 In a short and easy form, you will learn the best combinations for your favourite dishes and wines! The notion of terroir hasn’t been translated into other languages as its concept has been underestimated everywhere but France. So it became a pure French notion that is proudly known in France as a key ingredient to a successful winemaking. The French have always believed that the great wine is born by the land and nothing on Earth can make them change their mind. Even quite interesting and successful experiences of New World’s wine makers that put into their philosophy the wines of a single variety to show their indigenous characteristics. What does the notion involve? There is a concrete definition that leaves no questions behind. The terroir is not just a soil or climate it is a combination of 3 factors: climate conditions of the area – day and night temperatures throughout the year, quantity of rainy and sunny days, the quality of the wind; the 2nd is the soil content and the drainage quality; and finally the exposition of the vineyard ie the direction to the sun among which the south east considered the best and the angle of the vineyard location on the hill. 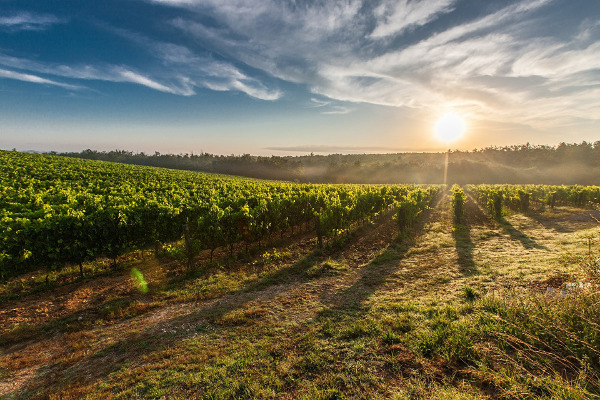 All of the factors are deeply considered before planting a vineyard in the area. A great wine is born from the union of a high quality grape grown on the generous terroir suitable to this particular grape. Before planting any grapes the soil is studied very thoroughly. All the factors mentioned above are important however I’d like to put more light on the importance of the soil. The soil nurture the roots with life important minerals. The Earth gives all the necessary to the vine to form the grape that acts as a link between the wine and the soil. It translates all the secrets of the earth and wine receives a strong body. The best quality soil for wine growing are limestone or calcarious rock, volcanic, clay (argile). The soil has to be well drenaged. Wine maker is responsible for guiding and controlling all the processes starting from the vegetation of vines to bottling. That’s why the best case scenario is when all the vineyards are in the property of the wine estate. But alas it’s expensive. In that case a serious estate establishes trustworthy relationships with vine growers or rent vineyards to take care of them in person. The terroir concept for a long time wasn’t used by other countries but nowadays all wine regions invest a lot to explore and find the best terroirs to produce the great wines. This article was written by Svetlana Kasparova, a wine expert who has been working with wine estates across Europe for over eight years. She is a graduate of the famous wine school “Entoria” and a Wine Games medalist.